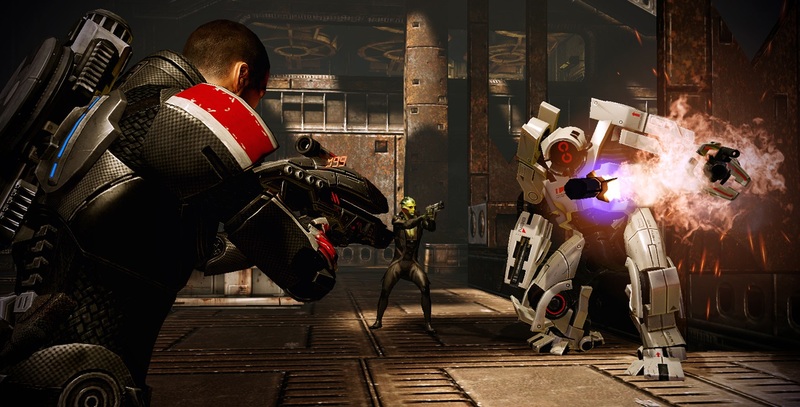 Mass Effect 2 is the highest ranked Mass Effect game on this list and with good reason. Mass Effect 2 took what was great about the first Mass Effect and refined the formula while adding more characters, more story and more endings; Crewmates now had loyalty missions which helped you connect and care for them. You were also able to see how the choices you made in the original game impacted the galaxy in its sequel. In terms of the end-game, Mass Effect 2's is one of the most refreshing and exhilarating I've ever experienced offering a huge number of potential endings that are dependent on the choices you make there and then as well as how well you prepared beforehand. Jack Wall and Sam Hulick also return to score the soundtrack and it's even better the second time around. "I don't mean to be stepping on your blue suede shoes sir, but a land without luxuries, it's like a hound dog without a bone, it's not happy..."
Compared to the original Civilziation, the game had improved higher resolution, isometric graphics, improved sound effects, improvements to the AI and the addition of firepower and hit points to combat (combat was live-or-die in the original Civilization with no such thing as injured units). The game also had some funky FMV wonder videos that they never revisited in the following games. 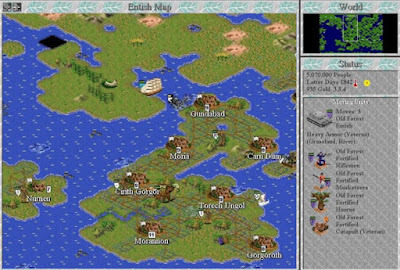 Another reason this version of Civilization was so great was because it was easy to mod – so easy that I could even do it as soon as they released the Fantastic Worlds expansion. All of these factors contributed to Civilization II's success and its place at #9 on the Choicest Games Top 100 list! This is my favourite Battlefield game of all time but HOW COME IT'S NOT HIGHER UP THE LIST??!? :@ Well that's democracy for you ;) (one judge has never played the game). Anyway, it's still in the top 10 which I'm happy about and out of all the Battlefield games, this is the one that encouraged a great deal of cooperation and teamwork, probably more than any other title in the franchise, all thanks to Commander Mode. In Battlefield 2, the Commander is responsible for providing intelligence and raising the team's situational awareness by marking targets on the battlefield and providing UAV support. They can also provide artillery strikes, supply drops and vehicle drops to the team. Voice comms follows the chain of command with squaddies only able to talk to their squad leader and the Commander only being able to talk squad leaders. It's beautiful when it works well and fosters a sense of camaraderie amongst the team. The game also has more classes than recent iterations of Battlefield meaning greater dependency on teammates to do their roles. Another reason I believe this Battlefield requires greater cooperation than its contemporaries. 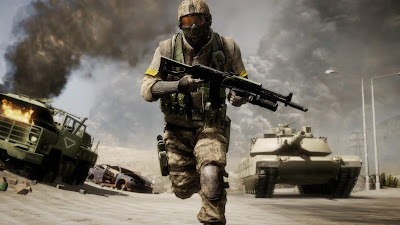 Finally, for better or worse, Battlefield 2 was also the first Battlefield game to be set in the modern era which Battlefield 3 and Battlefield 4 would also be set in. Overall, Battlefield 2 is a very important and revolutionary title in the Battlefield series which further cemented D.I.C.E. 's reputation as the one stop shop for immersive, large-scale multiplayer shooters. 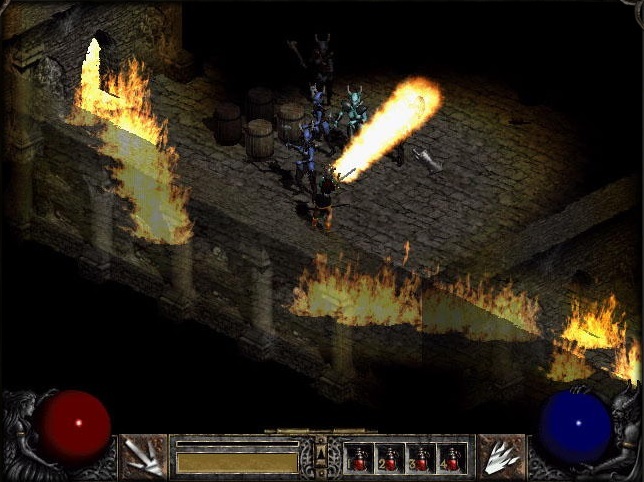 While the first Diablo laid the foundations of what would become a best-selling franchise for Blizzard, it was Diablo II which would become the favourite of the series only because it was a bigger and better version of Diablo; instead of just visiting one town and its dungeon (Tristram) you're able to visit many locales over multiple acts. Instead of just three classes to pick from, you could pick five in Diablo II. Besides that though, the game is mostly the same bringing back the gorgeous cinematics Blizzard are well known for and a creepy, adrenaline-pumping soundtrack thanks to the return of composer Matt Uelmen. The Call of Duty franchise has seen better days but it all started back in 2003 when a relatively unknown studio known as Infinity Ward released a WWII-shooter (in a market already dominated by WWII shooters). What made Call of Duty stand out from the rest of the crowd was how immersive the game was for its day. Thanks to a combination of excellent visual effects, sound effects and scripted sequences, you felt like you were really there. 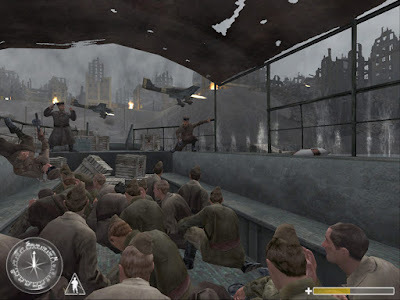 What also helped was that unlike other FPSs of the day, such as Medal of Honor, most of the time you fought as an army in Call of Duty instead of playing as a lone wolf. This definitely helped with the immersion factor as if you're fighting a war as a frontline soldier, that's what you'd expect right? Cinematic quality shooters that are short in length has become the hallmark of Infinity Ward games but the beginning of this formula started with the original Call of Duty which takes the #6 spot on our list. 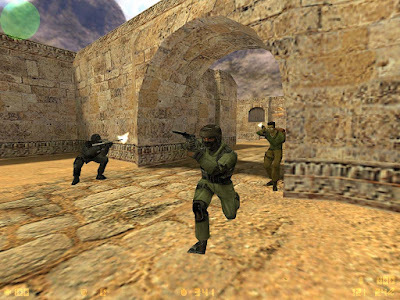 Counter-Strike is one of the most popular Half-Life mods ever made (if not the most popular) and as a result has made Valve a lot of moolah (the Counter-Strike franchise has sold over 25 million units). 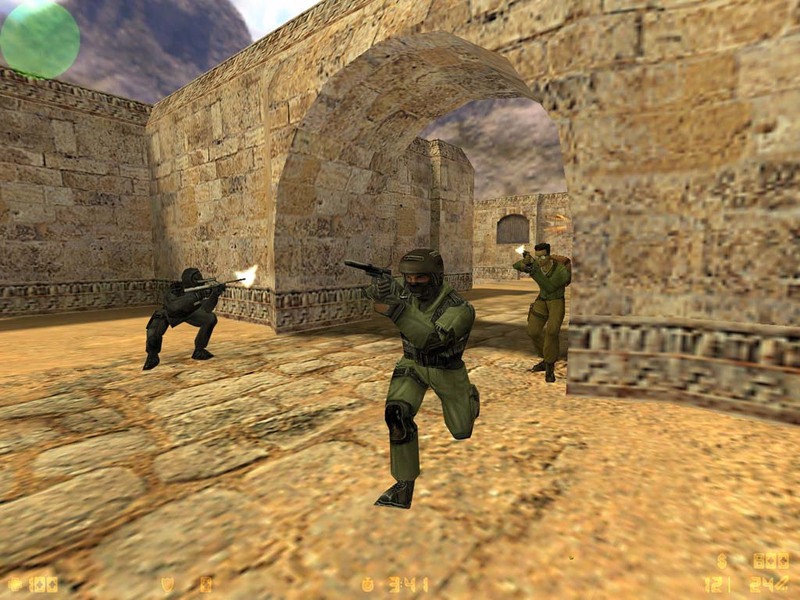 Developed in 1999, the game was probably the first experience, for many, of an online, team-based multiplayer game (despite it being basically Team Deathmatch). 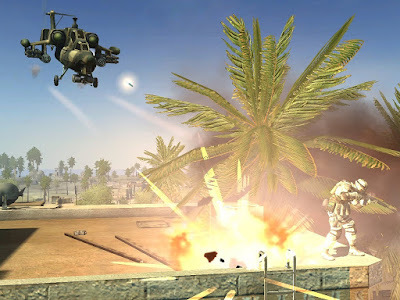 It was also one of the earliest online multiplayer FPSs to feature real guns instead of fictional weapons which no doubt helped with its popularity. The game has become the de facto FPS for e-sports and has spawned two sequels: Counter-Strike: Source and Counter-Strike: Global Offensive. Its impact on professional gaming and multiplayer shooters in general means it deserves its place at #5 on our list. 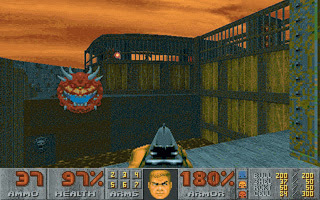 Doom represented a milestone in PC gaming and the First-Person Shooter (FPS) genre (although ultimate honour for that goes to Wolfenstein 3D). 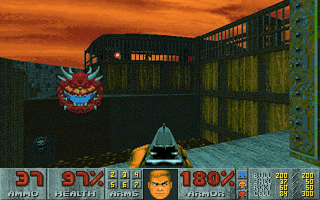 Thanks to spectacular 3D graphics (for its day), rudimentary network gameplay and a shareware model that enabled 10 million people to have played the game within two years after its release, Doom was extremely influential in making the FPS genre a popular one. In fact, it wasn't until the late 1990s that the term "FPS" became more popular than "Doom clone" – that's how important it was to the genre. The game spawned many sequels including one that is currently in development and is so popular that it has migrated to other media such as comic books, board games and even film. You can't have a top 100 games list without Tetris. Despite the game being originally developed in 1984 in what used to be the Soviet Union, the game was eventually exported to the U.S. (and was the first ever computer game to do so) and was an instant hit. 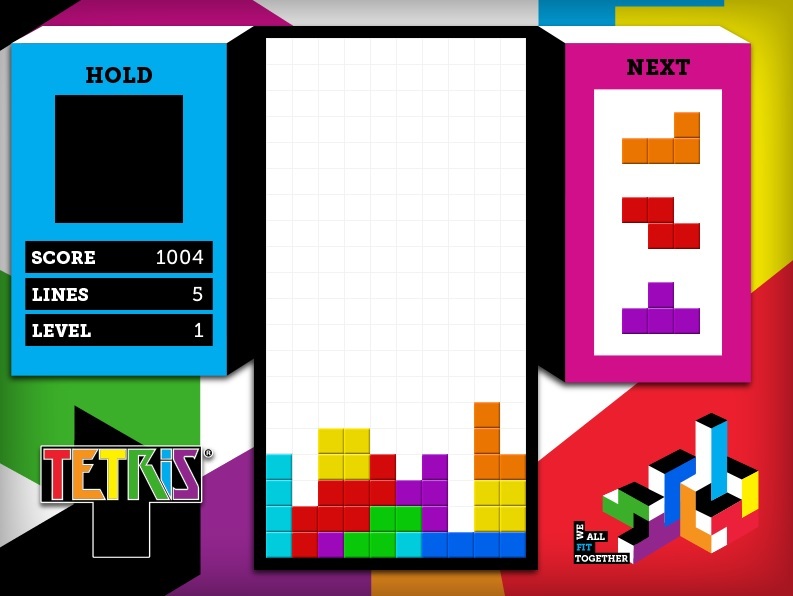 Since its early days on the PC, the game is now found on almost anything that runs on electricity; Tetris can be found on PCs, consoles, mobile phones, PDAs, media players, graphics calculators and even on oscilloscopes! The game has even been played on the side of buildings! The game continues to be popular to this day having sold more than 170 million copies on smartphones- so it's now even the best-selling paid download game of all time (and we're still not talking about the many other platforms it's on). The game is addictive, ageless and anyone can play which is why it's in at #3 for our Top 100 list. While I think Battlefield 2 should've been ranked higher, Battlefield: Bad Company 2 comes a close second (IMHO) and is one of the franchise fan favourites (nice bit of alliteration there if I do say so myself). This is the only Battlefield game that all of the judges on the panel have played and enjoyed immensely and was probably the last "true" Battlefield game where "less was more" (this was before the pandering to Call of Duty players by opening the floodgates on the number of guns and attachments you could equip). Bad Company 2 marked the return of the Battlefield series back to the PC and it did so with a bang. The game had great level design, excellent Rush mode maps, beautiful visuals, destructible buildings, an entertaining single-player campaign that never took itself too seriously and the lack of jets helped make the game feel more balanced. The game was critically acclaimed and sold over 12 million copies. It's definitely the best Battlefield game in recent years and hence it's #2 spot on our list. Here it is. The moment you've all been waiting for: the #1 game on the Choicest Games Top 100 list! This is a game that all judges have played and all rated it as one of the best games of the 1990s if not one of the best PC games of all time. The game helped put id Software on the map and who doesn't like shooting a few Nazis right? Inspired by an early 1980s game called Castle Wolfenstein (made by Muse Software), id were allowed to use the name since the copyright had lapsed. The game was originally going to have gameplay similar to the original Wolfenstein which relied a lot on stealth but this was eventually dropped as it would have complicated development. Secret walls were added though at the request of John Romero and Tom Hall which John Carmack finally agreed to implement late in development. The game also looked pretty spectacular for the day thanks to the adoption of 3D graphics in VGA (256 colours) and its support for digital sound cards like Adlib and Sound Blaster. The game was critically acclaimed and was a commercial success for the small 6-person studio selling 100,000 units by the end of 1993. Its success demonstrated the effectiveness of the shareware model (which id would continue to employ) and the popularity of 3D shooters. 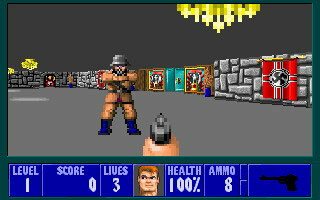 Up to that point, many shooters were side-scrolling affairs on the PC and Wolf 3D helped to move the market to first person shooters. No wonder many consider the game as the grandfather of 3D shooters and Wolf 3D would become the start of a franchise consisting of many reboots including the most recent one, Wolfenstein: The Old Blood.